We use cutting-edge digital imaging technology to assess your eyes. Many eye diseases, if detected at an early stage, can be treated successfully without total loss of vision. Your retinal Images will be stored electronically. This gives the Rayford eye doctor a permanent record of the condition and state of your retina. This is very important in assisting your Rayford Optometrist to detect and measure any changes to your retina each time you get your eyes examined, as many eye conditions, such as glaucoma, diabetic, retinopathy and macular degeneration are diagnosed by detecting changes over time. Digital Retinal Imaging allows your local eye doctor to evaluate the health of the back of your eye, the retina. It is critical to confirm the health of the retina, optic nerve, and other retinal structures. The digital camera snaps a high-resolution digital picture of your retina. This picture clearly shows the health of your eyes and is used as a baseline to track any changes in your eyes in future eye examinations. An initial visual field screening can be carried out by the Rayford optometrist by asking you to keep your gaze fixed on a central object, covering one eye and having you describe what you see at the periphery of your field of view. For a more comprehensive assessment, special equipment might be used to test your visual field. In one such test, you place your chin on a chin rest and look ahead. Lights are flashed on, and you have to press a button whenever you see the light. The lights are bright or dim at different stages of the test. Some of the flashes are purely to check you are concentrating. Each eye is tested separately and the entire test takes 15-45 minutes. These machines can create a computerized map out your visual field to identify if and where you have any deficiencies. Annual eye exams are vital to maintaining your vision and overall health. 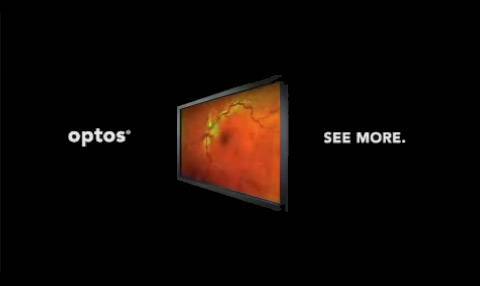 We offer the optomap® Retinal Exam as an important part of our Rayford eye exams. The optomap® Retinal Exam produces an image that is as unique as your fingerprint and provides us with a wide view to look at the health of your retina. The retina is the part of your eye that captures the image of what you are looking at, similar to film in a camera. The opportunity for you to view and discuss the optomap® image of your eye with your eye doctor at the time of your eye exam. Our Spring, TX optical precisely personalizes your lenses for your face, frame, & prescription with ZEISS iTerminal. Schedule an appointment online.